reserve a place by sending a message via our Contact us form. - Sorry, all seats taken now! setting below the SW horizon and it being dark enough! At the Wembury Beach car park (map on the Join us page), 7.30pm onwards. At the Wembury Beach car park (map on the Join us page) at 8pm. At the Wembury Beach car park (map on the Join us page). At the Wembury Beach car park (map on the Join us page), 7pm. At the Wembury Beach car park (map on the Join us page), 7.30pm. Raffle, Birthday Cake and Refreshments! Here is a short video on safe ways to view the Sun. At the Wembury Beach car park (map on the Join us page), 8.00pm onwards. 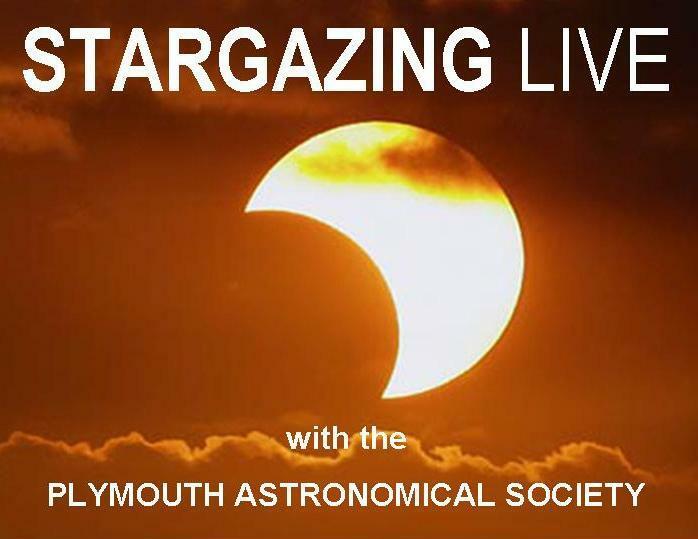 Arrive early with your equipment and get advice on astrophotography and observing. There is no "talks" meeting in August 2015. The next meeting will be on Friday 11th September 2015.